As promised, here is the amazing (amazing!) salmon tacos JD made recently. He knows that I want to increase my fish intake, rather than always eating red meat, so he accommodated with this delicious taco recipe. 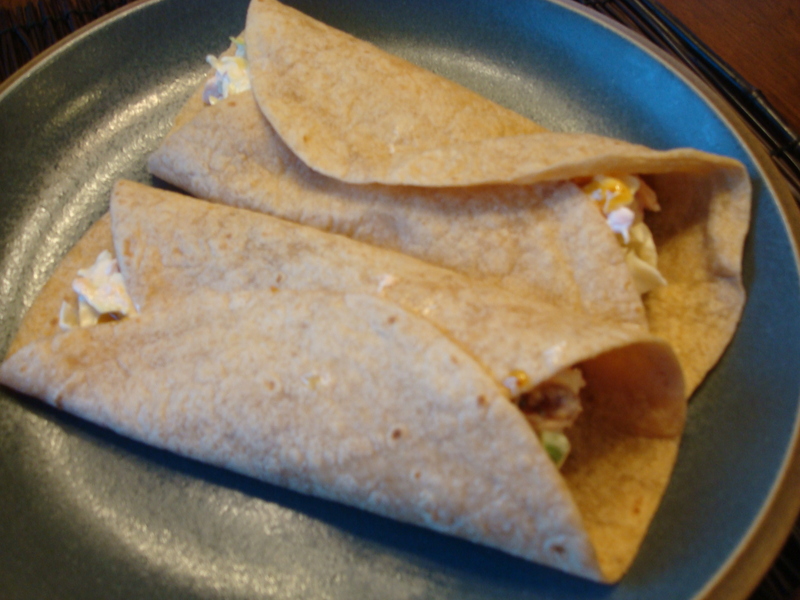 JD and I both love Bobby Flay, and B-Flay’s big emphasis is on “sweet with the heat.” This taco recipe is a B-Flay creation, and JD did an amazing job of nailing the zesty spice with a sweet orange-habanero hot sauce. 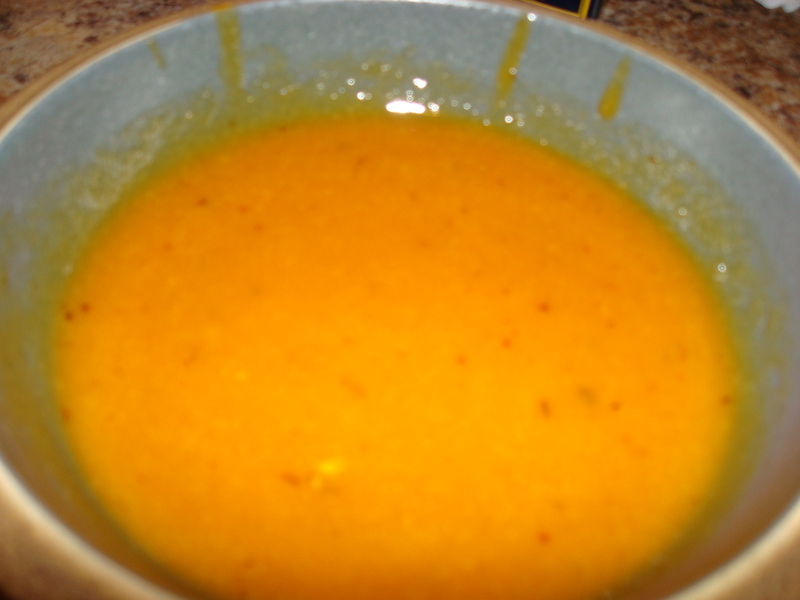 Place juice and habanero in a medium nonreactive saucepan and cook over high heat until reduced to 1 cup, stirring occasionally. Remove the habanero, whisk in the honey and season with salt. So yummy! 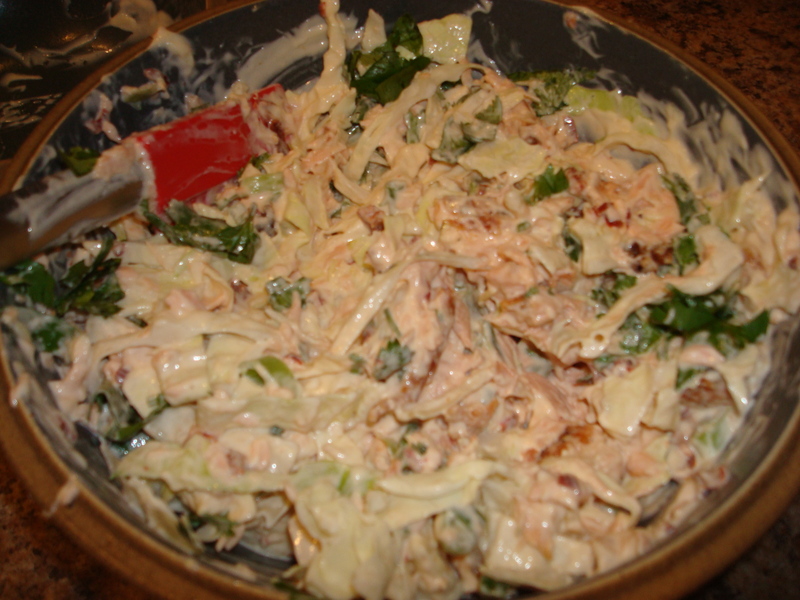 I hope you don’t judge this dish because of the awful photography… I was way too hasty with the pictures because I wanted to dive right in! The best part of these tacos was the crunch of the fresh veggies. The flavor combination was just wonderful. I highly recommend.